There is no CMS on earth which is 100% secure and hacker proof. It is in the hands of website administrator. However, you can follow these simple steps which will increase the security of your joomla website significantly. Add the following in .htaccess in the public_html. This will prevent execution any malicious files if uploaded. Joomla needs only index.php access. Step2: Avoid using vulnerable third party extensions. You can check the 3rd party/non Joomla! Extensions at below URL. Step3: Change the default ‘admin’ username to something safe and unique and choose a strong password. Password should contain minimum 8 letters with special characters, numbers and alphabets. 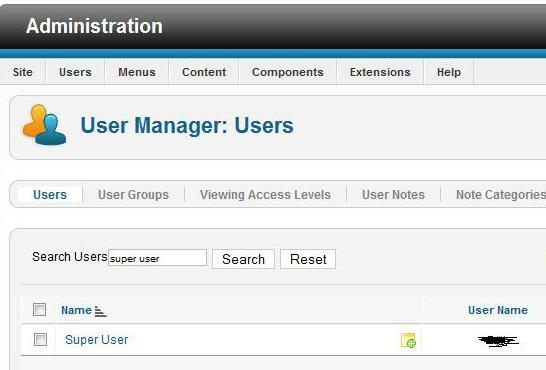 a)Please go to Users -> User Manager from your Joomla admin backend and choose the user group as Super Users as shown in the below image. 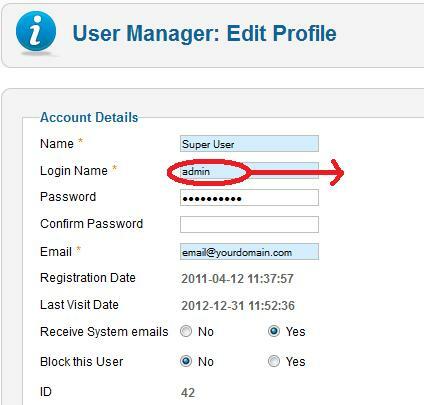 b) Then Open the super admin by clicking in the user name and change the username from admin to your desired new username and click save icon as shown in below image. Step 4: Always use correct hosting settings such as safe_mode should be ON, Joomla's Register Globals Emulation OFF (for Joomla 1.0.x) , use PHP5 rather than PHP4. Step 5: write-protect your Joomla configuration file. You can set 044 permission to the configuration.php file. Please make the following changes in your PHP.INI file for securing your Joomla website. Step7: It is a common practice to give 777 permission to the folder in joomla pack, which is a security threat. Correct permission of folders in Linux environment is 755. Step 10: Use SEF component. The SEF component includes a security feature that sends you a warning whenever your site has been exposed to an attack. It also gives you the option to remove the generator tag from your site. Step 11 : Delete the version number of installed extensions by editing the config files. If the URL is not entered with a correct suffix, the site will redirect to a 404 (not found) page. You can also change the suffix regularly. This plugin is not free, you need to pay for it but it’s worth it.